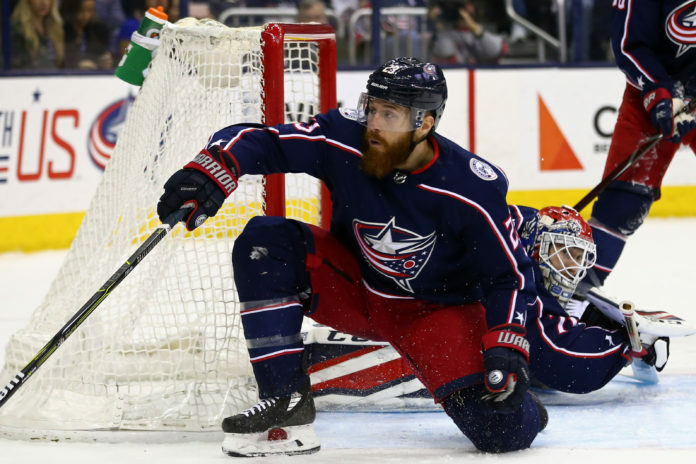 The Avalanche’s free-agency tweaks — and that’s what the Sunday signings of defenseman Ian Cole (above) and winger Matt Calvert were — underscored something Joe Sakic admitted. 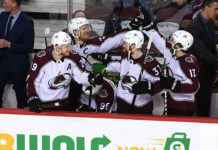 After a rebound 2017-18 season, the Avs are sticking with the plan. They got younger, faster and better. Forty-seven points better than in 2016-17, as a matter of fact. And Nathan MacKinnon’s breakout season was exciting to follow. Now the plan is for more of the same, mostly trusting the intra-organizational natural progression. That’s pretty arrogant. I don’t even mean that as a criticism, but this is a GM whose up-and-down track record in the five years since he took over the hockey operation has been undeniable. It’s risky just to assume continued improvement from a roster only minimally changed, with Tyson Jost and Samuel Girard both still not old enough to order a beer. This also involves sticking to a salary structure in a hard-cap league. That doesn’t involve penury as much as remembering the slotting and locker room dynamic. Most significant, MacKinnon, albeit only at age 22 and in his second contract, is locked up for five more seasons at a $6.3 million annual cap hit. . The acquisition of pending free agent goalie Philipp Grubauer from the Washington Capitals and then signing him to a three-year, $10-million deal stepped outside the lines of sticking to the plan, but given Semyon Varlamov’s inability to stay healthy enough to hold down the crease, that kind of move was both inevitable and understandable. And somebody had to replace Jonathan Bernier as the Varlamov alternative. Here’s the potential problem with the stay-the-course approach: The Avalanche doesn’t play in a vacuum. Simply trusting natural incremental improvement might not work. The Avs could be marginally better next season and still not get back to 95 points or finish in the top eight in the Western Conference. The West’s non-playoff teams were St. Louis, Dallas, Calgary, Edmonton, Chicago, Vancouver and Arizona. I’m going to say that the Stars, under Jim Montgomery, and the Oilers, with Connor McDavid leading the way, are good bets to jump into the playoff mix next season. 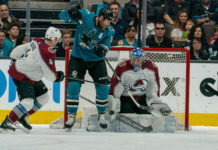 Of course, there could be corresponding slippage among a couple of playoff teams from last season, but the point is the Avs barely sneaked in. Regardless of how it breaks down, though, Sakic will regret his lack of aggressiveness if the Avs don’t get significantly better in the upcoming season — regardless of how many points that means. Terry Frei of the Greeley Tribune writes two commentaries a week for Mile High Sports. He has been named a state’s sports writer of the year seven times, four times in Colorado and three times in Oregon. He’s the author of seven books, including “Third Down and a War to Go” and “’77: Denver, the Broncos, and a Coming of Age.” His web site is terryfrei.com. His Mile High Sports commentary archive and additional “On the Colorado Scene” commentaries are here. His major Greeley Tribune pieces can be accessed here.